Waterfront 1 bedroom penthouse on Commercial St w/parking! 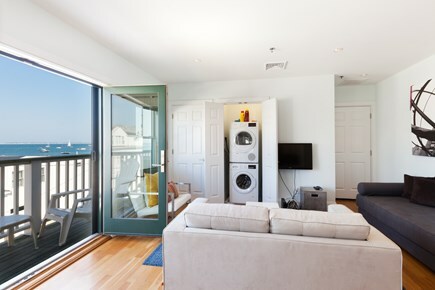 In unit washer/dryer, central A/C and heat - Ptown luxury! Front of building. Enjoy water sports just outside your door! View of MacMillan pier from front of building. 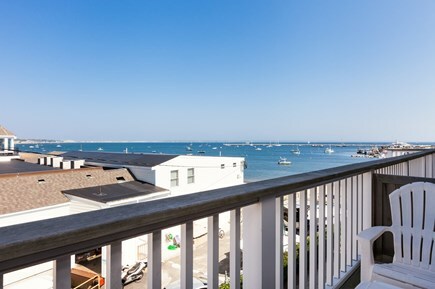 Modern & bright 1 bedroom waterfront penthouse located in the heart of Provincetown. 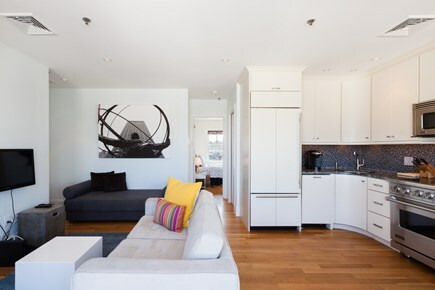 Centrally located on Commercial Street, yet set back from the street and facing the bay, Harborfront Landing is where modern luxury meets P'town charm! 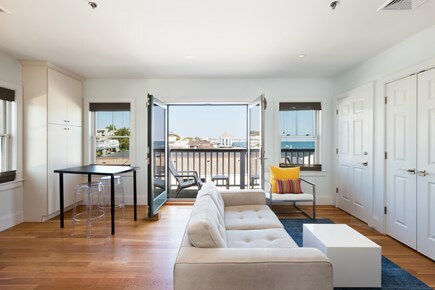 This well-appointed beachfront condo is located just steps away from all the fun of Commercial Street's shops, cafes, bars, restaurants, as well as a great location to grab a bench and people watch, too! After a long day of play, the harbor beach awaits your return. 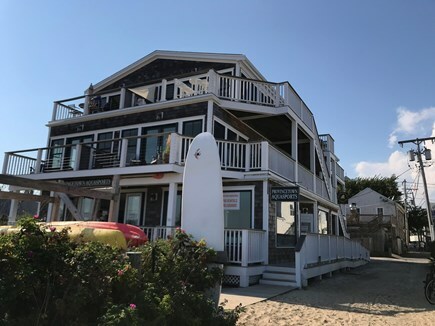 Built in 2012, this complex offers modern amenities and conveniences amidst the timeless charm of Provincetown tradition. 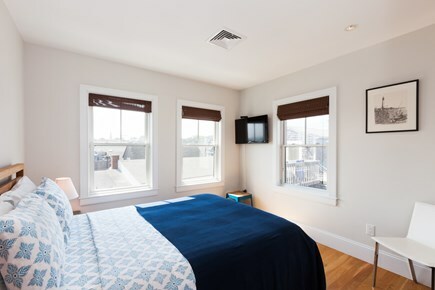 Unit includes gourmet appliances, central A/C (a treasure in the summer months), central heat, bathroom with dual shower head and other creature comforts to enhance your stay. Relax on the beach in front of your building. 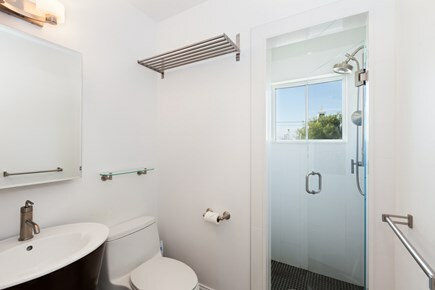 Enjoy the sand between your toes, and when you are ready to come in, there is an outdoor shower to wash away the sand! One assigned off-site parking space included for the duration of your visit. 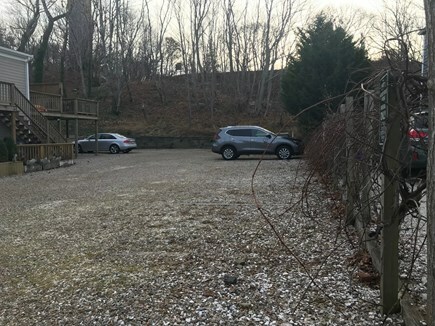 (Located on Alden St near the town public parking lot - approximately 7 mins walk) No need to worry about tandem parking hassles, overnight rules or feeding meters! 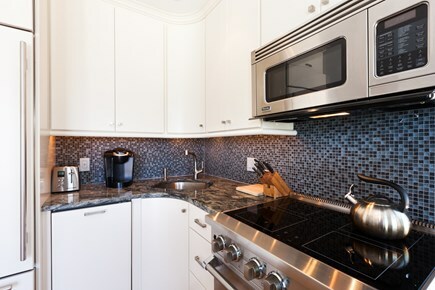 Well appointed gourmet kitchen with everything you need for dining in, including K-cup machine, toaster, tea pot and gourmet appliances (stove, microwave, dishwasher and refrigerator). If you prefer to dine out, you are just steps away from some of the most historic and highly rated restaurants in town, as well as across the street from The Purple Feather, a favorite local coffee bar known for its gourmet chocolates and gelato. Access: This unit is located on the third (top) floor and requires walking up two flights of stairs. Stairs are located inside of the building. 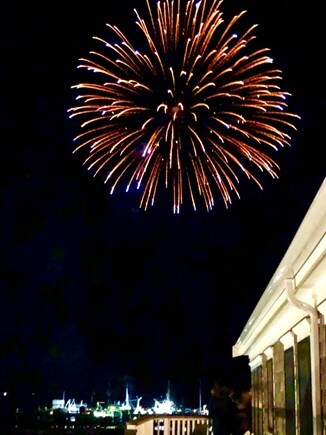 Quiet hours must be adhered to from 11 PM-8 AM so all residents and guests of the complex can peacefully recover from their night out! Front Street - wonderful Italian food, great Gluten Free menu! The Lobster Pot - name says it all! 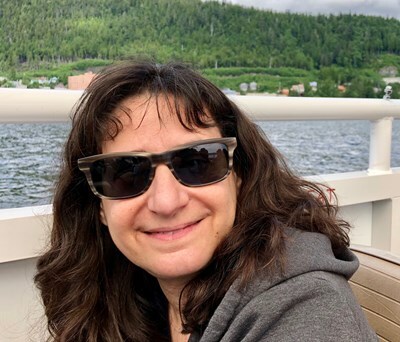 If you are taking the ferry, it is a very short walk to the condo. If you are driving, I suggest dropping off your luggage using the onsite temporary parking space, then parking in your assigned offsite space and forgetting about your car for the rest of your stay! Pedestrians rule on Commercial ST! This condo is on floor 3 of 3. Additional availability info: Please contact owner to discuss your desired dates - minimum stay requirements varies. Additional pricing info: $175 cleaning fee, State and local taxes of 14.45% will apply. This is a top floor condo that requires walking up two flights of stairs. 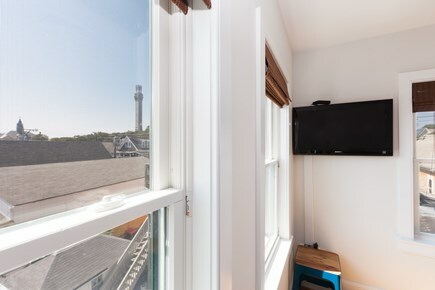 We are so excited to introduce our 1 bedroom penthouse condo in one of our most favorite places in the world - Provincetown! 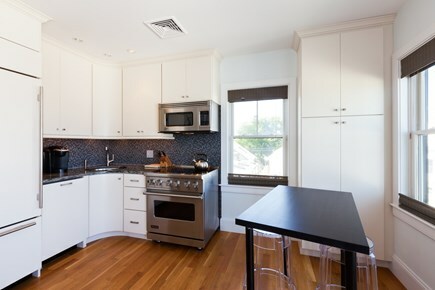 It's been my dream to own and host a place in Ptown since the first time I visited in 2001. 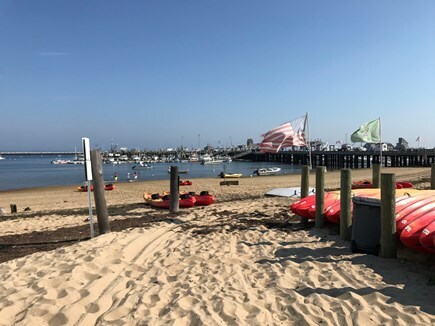 I love to travel and have lived and visited many places around the world, but Ptown always felt like a second home. It is a place of diversity, acceptance and celebration! 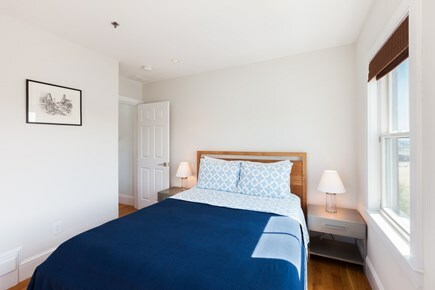 It is my hope to provide you with a wonderful space to stay while you visit this fun, vibrant Cape Cod town. If you want to drive to the beach, it is an easy 10 minute drive from the parking space to Race Point Beach.